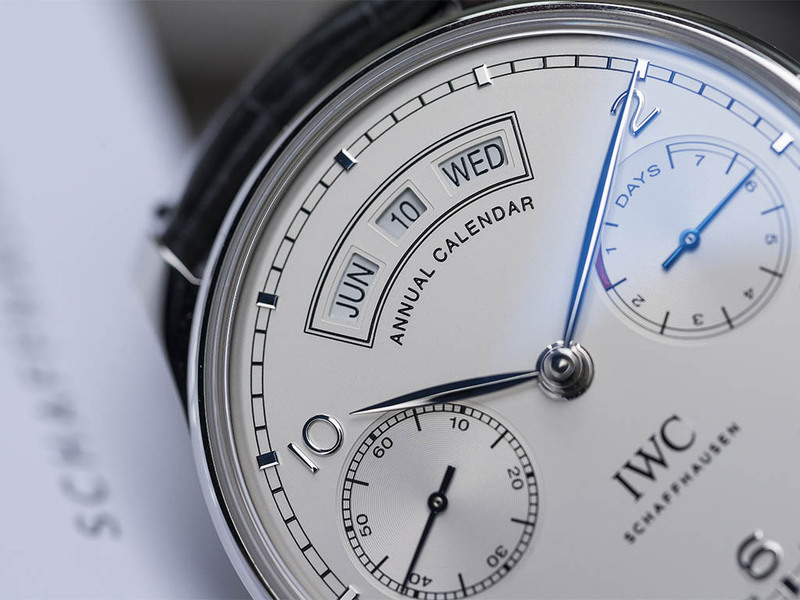 While seemed a bit more focused on the Portofino series, IWC revealed a stunning Annual Calender model for the brand's cult series Portuguese. Combining a strikingly beautiful dial with a successful movement, Portuguese Annual Calender stole our hearts by it's design being loyal to the Portuguese Series' elegance lines as much as possible. 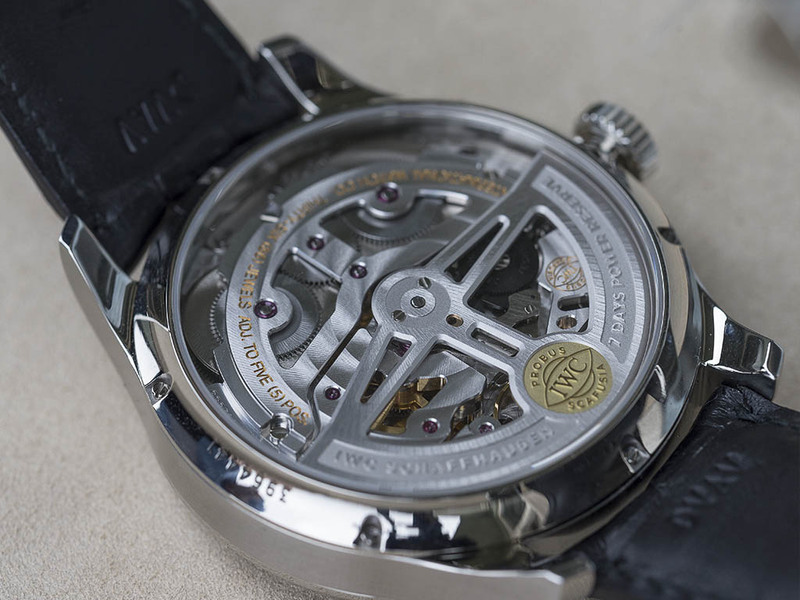 In my opinion, one of the most important assests of the watch is it's brand new caliber. 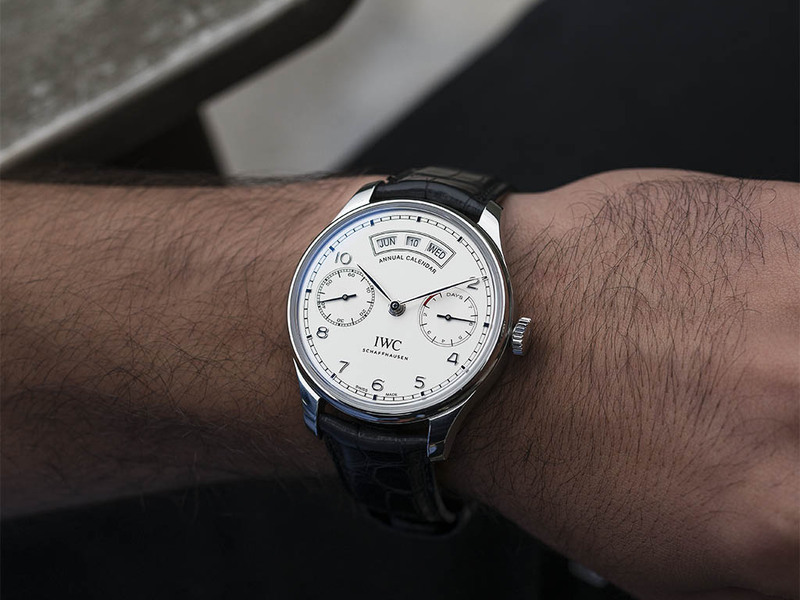 Considering the definition of “ new model “ is mostly focusing on visual variations of existing models, we surely appreciate IWC for revealing a true new model with a new caliber. Caliber Ref. 52850 is basically a member of Ref. 52000 family.While bearing major resemblance with the rest of the family, 52850 stands out with it's newly designed rotor at first glance. The caliber features two mainspring barrels instead of one in order to supply efficient torque to move the added discs regarding the annual calendar feature. Ticking at 28.800vph the movement offers 168h ( 7 days ) power reserve when fully wound. All functions can be operated through the only winding crown eliminating the need for extra pushers. In a world of Perpetual Calender watches with top dollar price tags, this smart annual calendar watch which needs to be manually set in every four years only for the leap year calculation is truly the best bang for the buck. 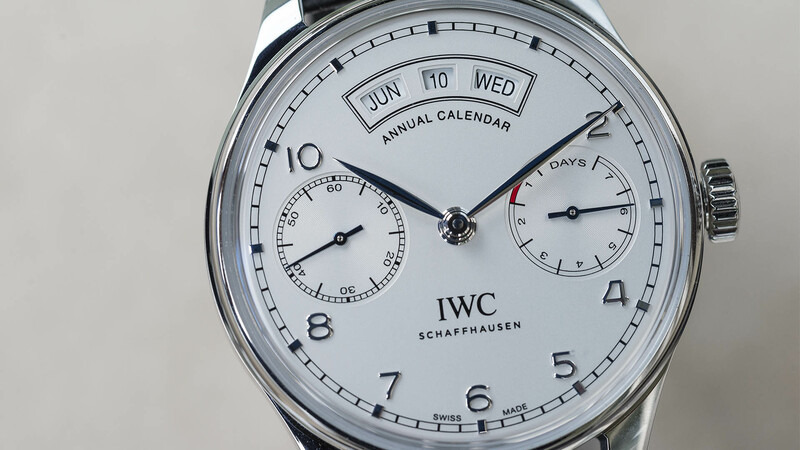 The dial is re-designed to efficiently house the annual calendar function.Three windows featuring displays in line for month/date/day is a clever lay-out trick which allows the dial to stay loyal to main Portuguese style. Personally I really like the watch. My only negative comment goes to the “ Annual Calendar “ writing on the dial. It's quite common for watches to have their specs/functions mentioned on the dial but for such an elegance design like Portuguese, it looks a bit messy. 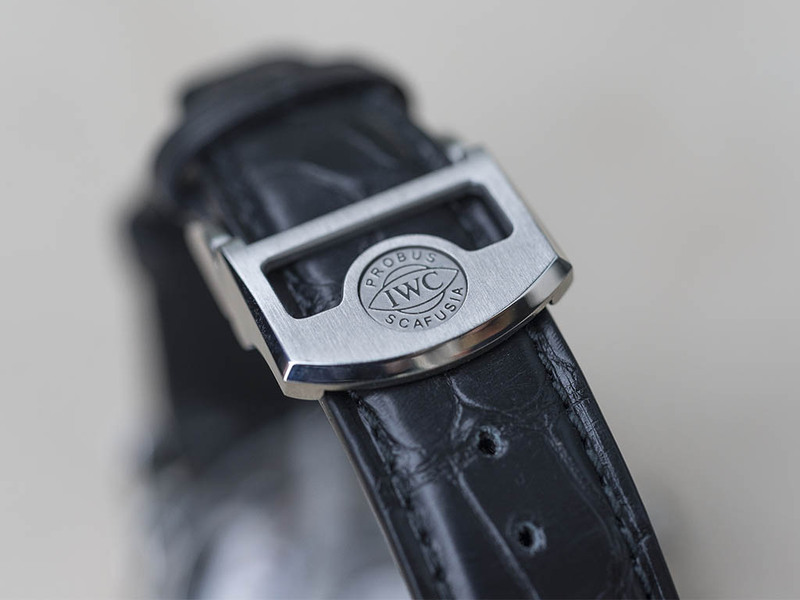 The case diameter measures 44.2mm while the thickness is 15.3mm. 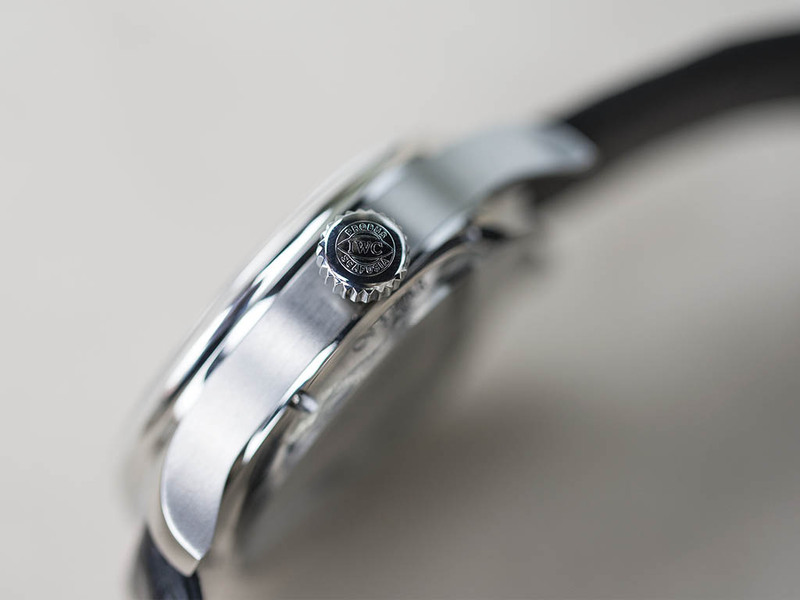 The slightly domed sapphire-glass on the top of the dial effects the thickness figure directly. 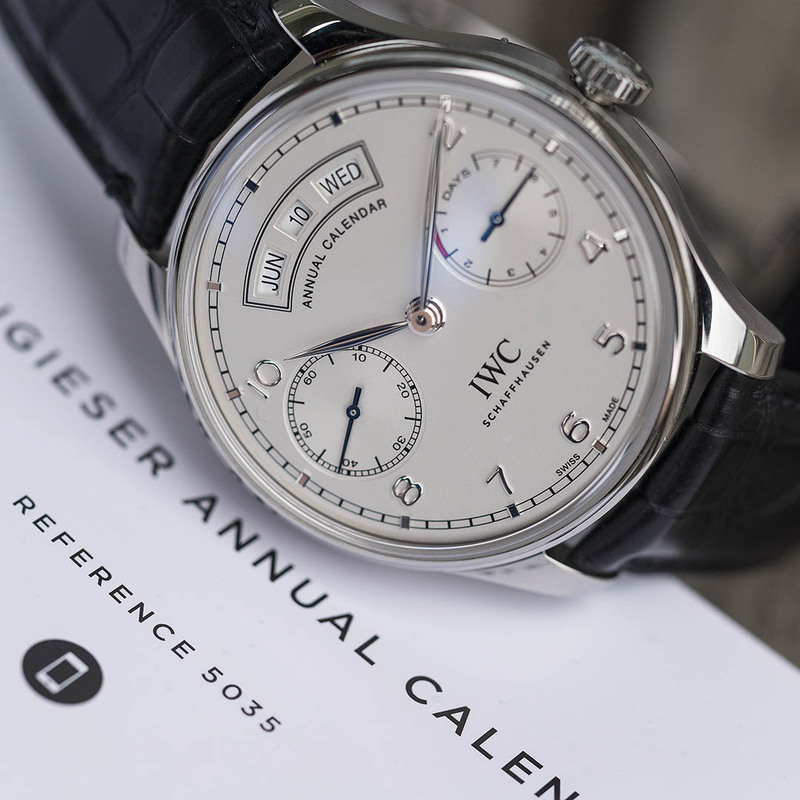 IWC Portuguese Annual Calender comes with stainless steel and 18K rose gold options.